We’d love your help. 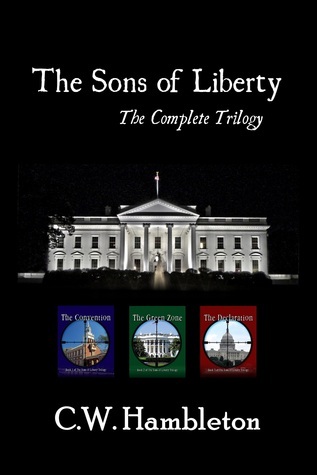 Let us know what’s wrong with this preview of The Sons of Liberty Trilogy by Chris Hambleton. After six years of a failed presidency, the United States of America teeters on the brink of another collapse – not another economic collapse, but a collapse of confidence in leadership. The healthcare system is in ruins, the borders are undefended against terrorists, the national debt is spiraling out of control, and the political system has grown increasingly disconnecte After six years of a failed presidency, the United States of America teeters on the brink of another collapse – not another economic collapse, but a collapse of confidence in leadership. The healthcare system is in ruins, the borders are undefended against terrorists, the national debt is spiraling out of control, and the political system has grown increasingly disconnected from the American people. As the conflict between Washington and the rest of the country begins to spiral out of control, a group of state legislators sets out to hold a Convention of States in hopes of pulling the nation back from a civil war. To ask other readers questions about The Sons of Liberty Trilogy, please sign up.